Today, the School continues its tradition of attracting a diversity of smart and talented students to its broad portfolio of academic programmes, including BBA, MBA, Executive MBA, MSc and PhD programmes. It also offers a wide range of customised and open enrolment programmes in its Executive Education courses. Admission to NUS Business School is remarkably competitive, and we are proud of the exceptionally high quality of our students. The School has consistently received top rankings in the Asia-Pacific region by independent publications and agencies, such as The Financial Times, Economist Intelligence Unit, and QS Top MBA, in recognition of the quality of its programmes, faculty research and graduates. In the Financial Times Global Rankings, the NUS MBA is ranked 32nd, while the NUS-UCLA Executive MBA and Asia-Pacific Executive MBA were ranked 5th and 25th respectively in 2015. In the biannual Forbes rankings for two-year MBA programmes, NUS Business School was ranked top in Singapore and Asia in 2013, and second among business Schools outside the United States. Quacquarelli Symonds (QS) has also ranked the School 12th in the world for accounting and finance. By invitation from the Board of Directors of GMAC (the administrative body for GMAT), the School has been representing the Southeast Asian region as a governing School of GMAC since 2000. The School is also a "Non-European" member of the international network for European Foundation for Management Development (EFMD). The School has also forged close links with other top universities in North America, Europe, Asia, and Australia in the form of exchange programmes and joint academic collaborations. In addition, the School is an invaluable partner of the industry, with both sides making regular communications and collaborations so that they will remain relevant and be increasingly useful for each other. As part of the National University of Singapore, a top globally ranked university, NUS Business School shares the University's global reputation for academic excellence in education, research and service. With NUS being a comprehensive university with disciplines in medicine, architecture, engineering, computing, law, social sciences, and more, we are in a unique position to leverage on the breadth and depth of the University, including accessing a vast and highly diverse student body of over 37,000 students on campus and a global network of over 30,000 alumni. 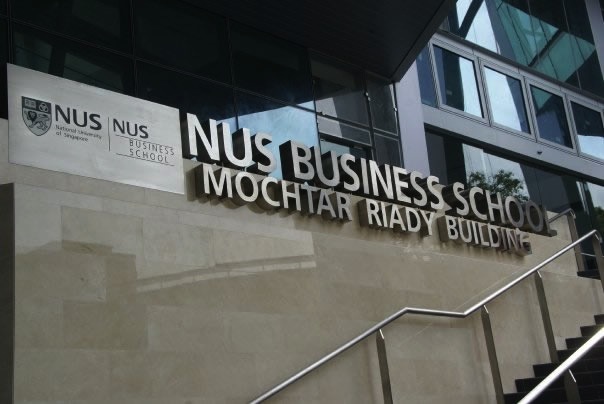 NUS Business School is the institution of choice for many seeking a rigorous business education and more!